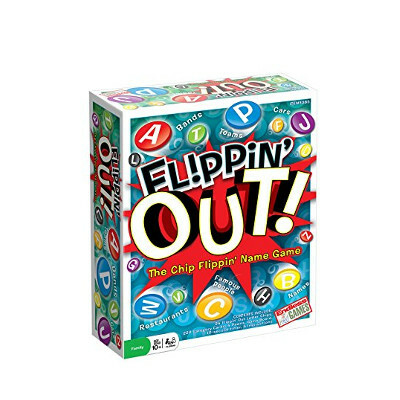 Description: The outrageous category-party game where a Letter or a Player is eliminated with each Flip of a Chip. Can you come up with a Rock Band beginning with the Letter "P"? How about a board game beginning with "N"? Players and teams race back and forth flipping letter chips that correspond with the answers they come up with. Once a letter is flipped, it can NOT be used again for that category. You're either FLIPPIN' or you're OUT.